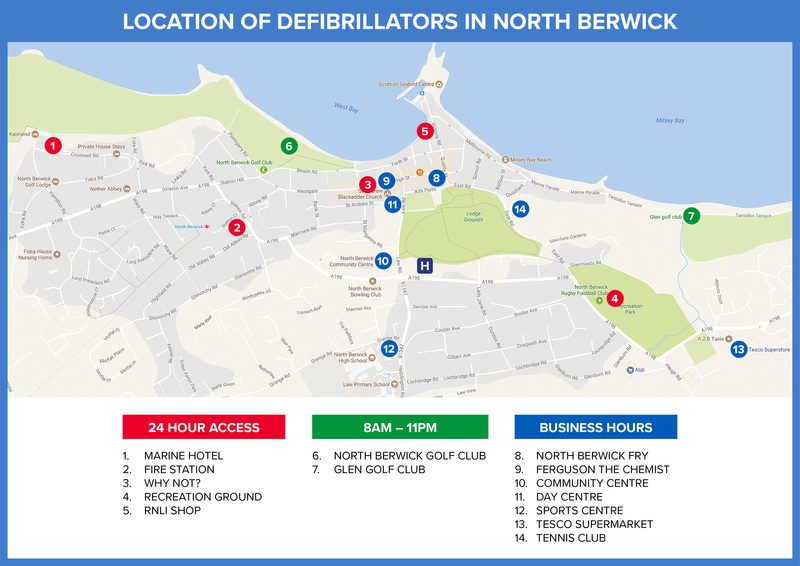 Driven by an initiative by North Berwick Community Council the number of Public Access Defibrillators (PAD’s) is on the increase. Thanks to the kind donation by Paul Burns, a Huffin Puffin, we have managed to relocate 4 PAD’s into externally mounted boxes which are accessible 24 hours a day. Directions to the nearest PAD and the access code is given out by calling the emergency services. It is hoped that over time, certainly by the end of 2018, we can get all the PAD’s into 24 hour access.